At Rabbit Hole Hay, we believe that every rabbit and guinea pig deserve the basic necessities of life. We believe in making a difference in the lives of not only your small pets, but also small pets that have been put in harsh situations. This is why our team strives to partner with like-minded organizations who are doing everything they can to further the life of a small pet. This time, we have the amazing privilege to partner with Watertown Humane Society, a small non-profit organization based in Watertown, Wisconsin. In the average year they receive and adopt out 4 rabbits to forever homes, with this year being quite the exception. Recently they were given 57 rabbits and 135 guinea pigs from a Watertown Humane Officer after seizing them from a home. Being a small shelter and having never taken on a care case this big before, it’s understandable that things are just a little overwhelming for them right now. Fortunately, they have wonderful volunteers to help. But these pets need food and supplies. Our team at Rabbit Hole Hay will be doing our part to contribute, but we need your help too! You can donate to Watertown Humane Society by purchasing our Hay at 50% off. How this works is that you purchase 10 pounds of hay at half price and we send them the cut that they want. We basically match your donation! Your donation of hay will be sent directly to them, helping to feed the rabbits and guinea pigs. Read more below to hear more about their story and the specific ways you can help! Achoo! Your eyes are red and itchy. Sniff sniff. 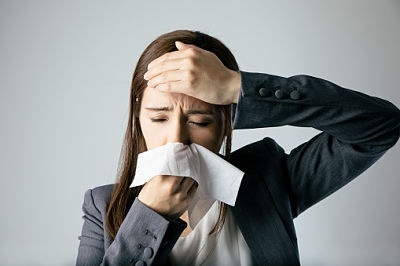 Your nose won't stop running and you wish you could clear your sinuses. That tickle in the back of your throat won’t go away even though you’ve cleared your throat a few hundred times. That rash that just won’t stop itching. Sound familiar? It’s your basic case of allergies that have flared up from your bunny's favorite timothy hay. At Rabbit Hole Hay, we believe that every bunny deserves a happily ever after! We believe in making a difference in the lives of small pets in any way that we can. Our team strives to partner with other like-minded organizations so that we can share our resources and better serve animals in need. 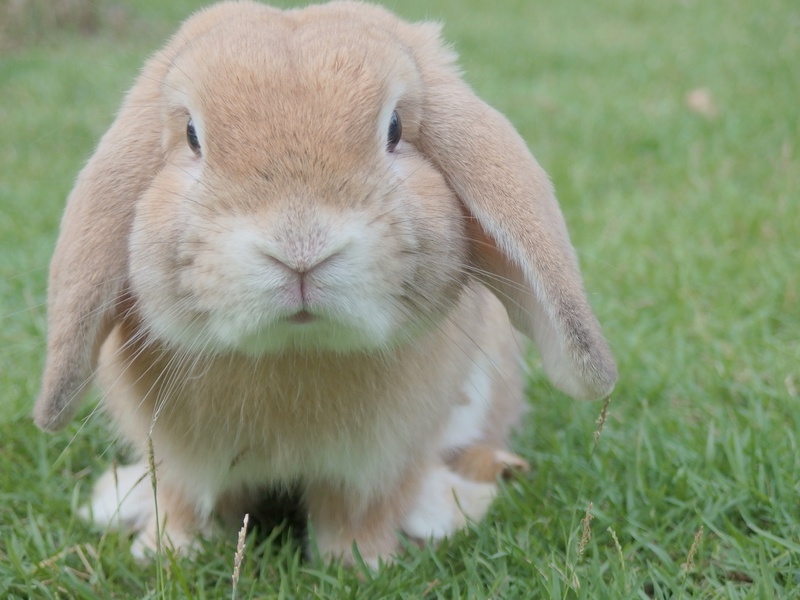 Rabbits are often mistreated and overlooked as a pet group and need protection, resources, and attention. So, we set out to see what we could do to help. We got lots of stories from our customers and our Rabbit Hole Hay Club members. They are amazing! 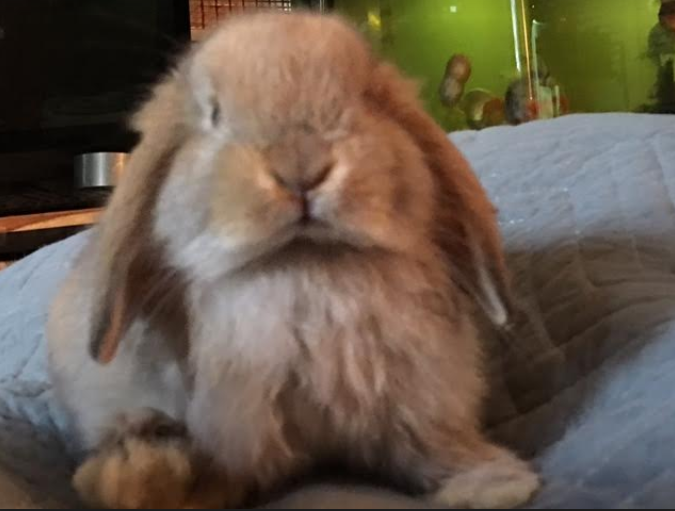 I just got this story sent over from a brand new rabbit owner. Sounds to me like she is doing everything right! Here is what she wrote me! My name is Sarey. I'm a 1st-time rabbit(s) owner. I have other pets (a chihuahua and fishes) but never rabbit(s). I've seen them at rescue shelters, on TV (animal channels) & pet stores before but never consider getting one as a pet until one fateful day on July 17. I went to a local pet store to buy fish products for my fishes and happened to glance over at the "furry critters" section where I saw a tiny tan fur-ball. Out of curiosity, I went over to see what it was. To my surprise, it was a baby lop ear bunny. When it saw me it hopped over to me. It didn't ignore me or go hide in the hiding house. Our eyes locked and you can say we"imprinted" on each other. The store clerk came over and asked if I needed any help. I asked to hold it but was told they had just got it in earlier that morning and it can't held for at least 3 days (quarantine period). Sadden my news, I purchased the fish products and that was that. I said to myself I didn't need a rabbit anyways. But I kept thinking about the lil' fur-ball. So, after the 3 days I decided that if I go back to that pet store and it's still there and if he's sweet when I interact with we're destine to be family. So, I head back to the pet store and he was still there. I asked to hold it. When the store clerk picked it up to hand over to me it wiggled non-stop. She checked the gender and told me it's a buck. Then she handed him to me, as soon as I held him, he calmed down and rest his tiny body against my chest as I held him. The clerk said, "Wow, that's amazing. He's completely comfortable with you". That's the moment I knew I was taking him home. 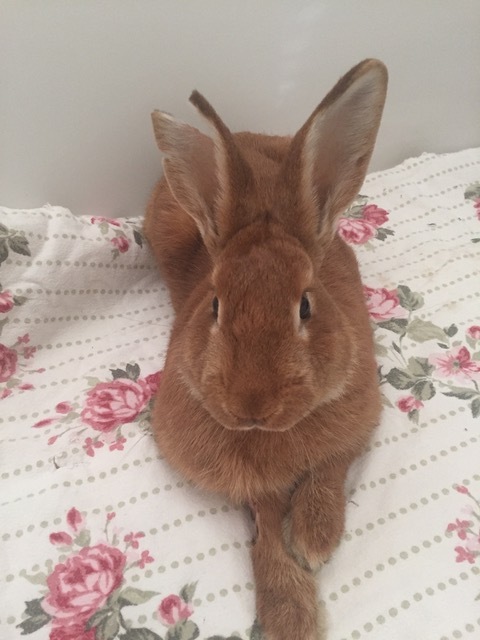 After a week of bonding with him and researching in-depth how to care for a rabbit I learned that they're social animals and do best with a companion. 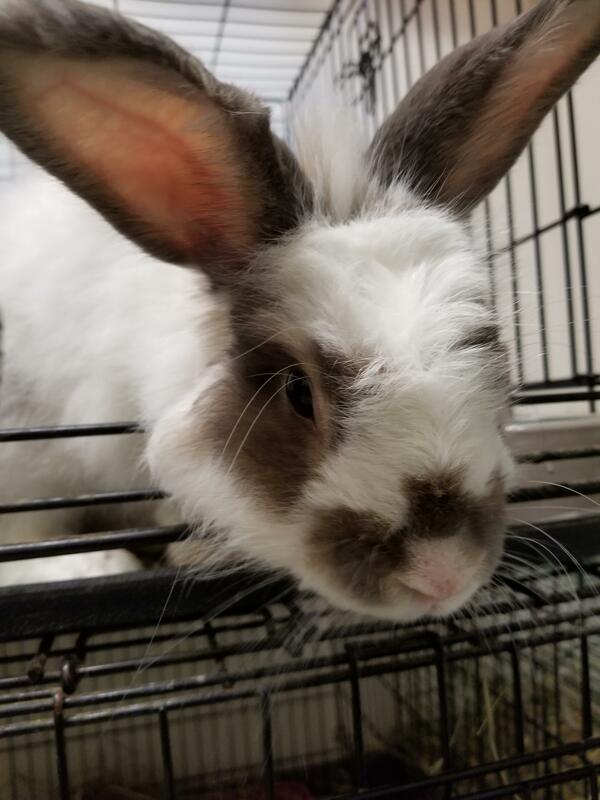 With that said, I found 2 more bunnies which I adopted and will be due to come home on 7/28 and 8/2. I came across Rabbit Hole Hay website when I was looking up merchants that sell quality hay in bulk. I figured it's more economical to buy in bulk now that I have 3 baby bunnies. My first purchase is the hay sampler because I'm not sure which one the bunnies will like. After researching hay, I see that there are so many different types of hays and cuts (1st cut, 2nd cut, 3rd cut). I figured I'd have them try each to and see which one they prefer. I'm happy to a member of Rabbit Hole Hay club and I hope to do long-term business with you.